Somehow I let it slip by that there is a new book just out written by well known Israeli children's author Allison Ofananasky about the new moon and Rosh Chodesh. The story is set in the desert around Mitzpe Ramon and features The Starman of Mitzpe Ramon as the childrens' guide to the New Moon and the new month. Teach your children why the moon has phases and how they determine when Rosh Chodesh occurs. Photographs by Eliyahu Alpern. 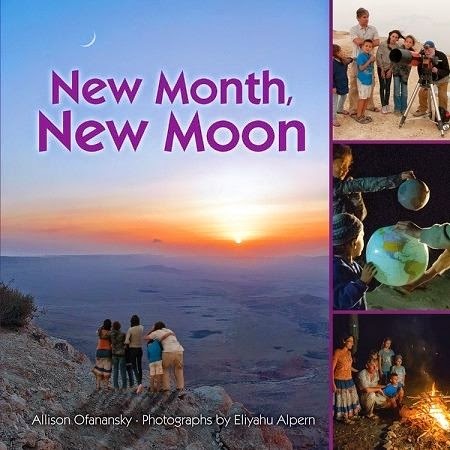 "New Month, New Moon" - A new book by Allison Ofananasky explaining the moon's phases and their connection to Rosh Chodesh. Featuring The Starman of Mitzpe Ramon, Ira Machefsky. You can buy it here from Amazon.com.